A method for the synthesis of (2S)-(+)-hexan-2-ol, the precursor of a series of drugs, by the enantioselective bioreduction of the prochiral hexan-2-one is proposed. 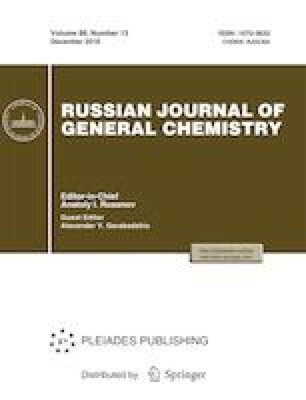 The use of various exogenous reducing agents (isopropanol, ethanol, and glucose) for increasing the yield of the target (2S)-(+)-hexan-2-ol and the enantioselectivity of the bioreduction of hexane-2-one are investigated. Original Russian Text © A.R. Chanysheva, E.A. Sheiko, V.V. Zorin, 2018, published in Ekologicheskaya Khimiya, 2018, Vol. 27, No. 4, pp. 229–232.